Calling English and Spanish speaking volunteers! 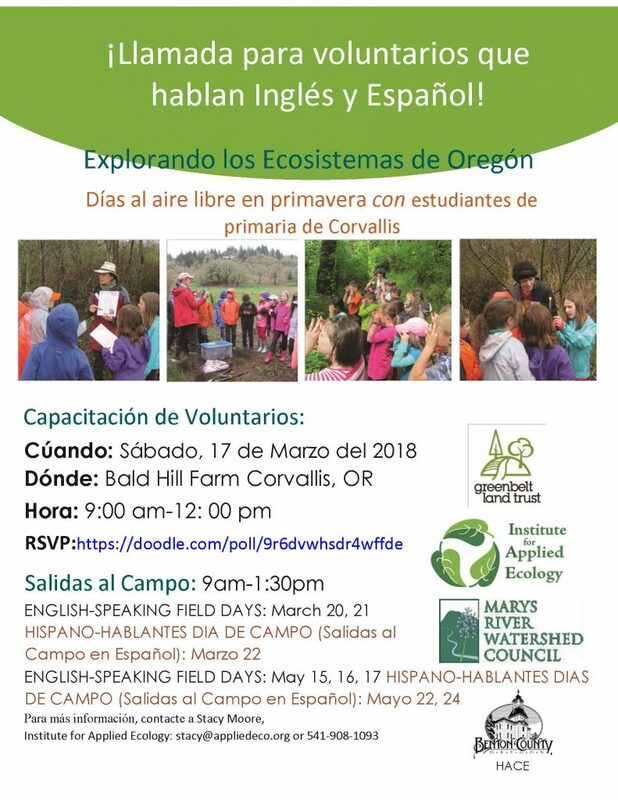 Join us for a special volunteer training for Exploring Oregon’s Ecosystems/Explorando los Ecosistemas de Oregón, a GLT youth education partnership with the Institute for Applied Ecology and Marys River Watershed Council. 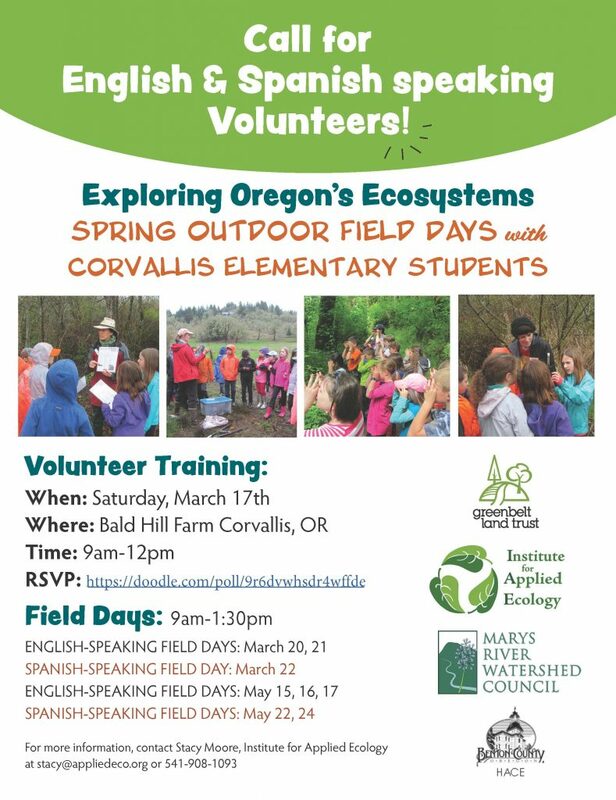 We’ll learn fun environmental education lessons about water and wildlife in preparation for teaching local 3rd-graders during upcoming spring outdoor field days (see posters below). *Volunteers should enjoy working with kids and must pass a background check. Being fluent in both Spanish and English is a plus!